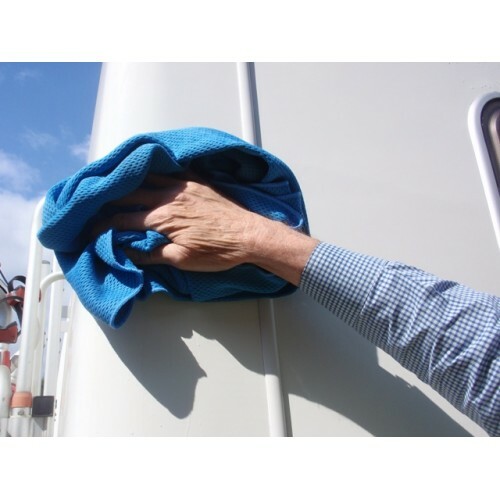 The best-selling Spautopia Valeting Towel is a large drying towel with incredible absorbency. Designed for use after shampooing and rinsing your vehicle, it's a modern take on the traditional chamois - but far more effective! 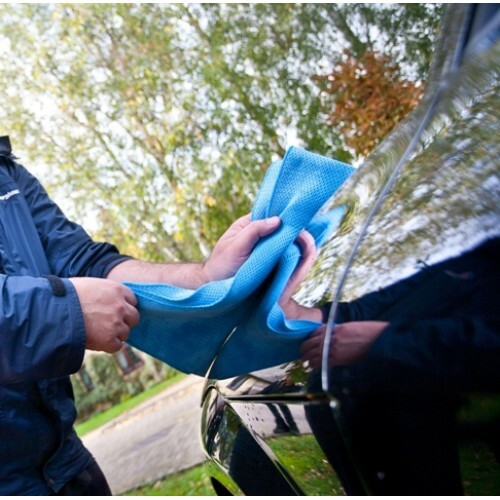 The Spautopia Valeting Towel leaves an exceptional shine and finish, even without waxing! 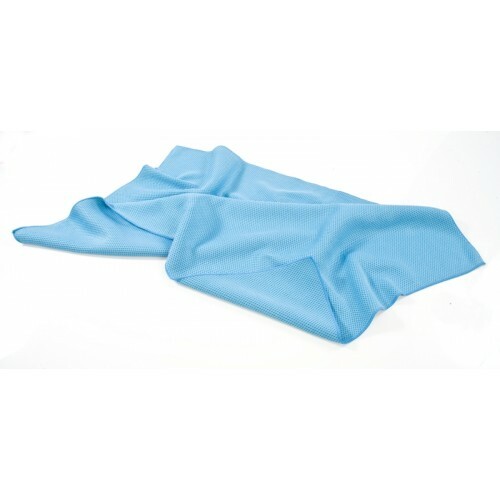 Its specially formulated fibre surface gives instant and superior absorbency and it leaves glass crystal clear. It eradicates fly impacts - no chemicals required - and leaves no waterspots or streaks after drying. 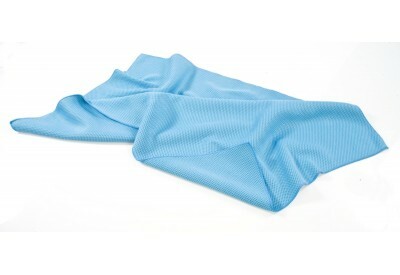 The towel is non-scratch and fibre-free and can be washed and reused again and again. 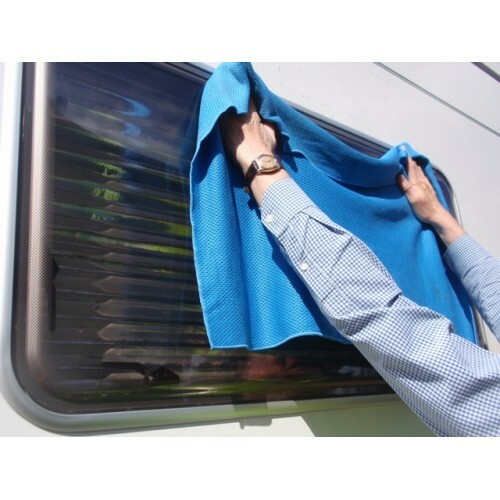 Its generous 90cm x 60cm size means you only need to wring out once or twice to dry an entire vehicle. The Spautopia Valeting Towel can be used from dry but we recommend you dampen it first for best results - see our instructions for use below. Also, the more you use it, the better it gets!